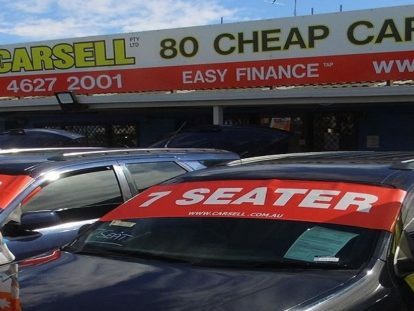 Looking for a friendly and trustworthy Used Car dealer in Campbelltown? Visit Carsell in Campbelltown for a great deal. Our used car dealership is a 100% family owned and operated Australian business, treating every customer with the highest standards of care and professionalism. With over 15 years of experience, our Campbelltown dealership has established a reputation in the west Sydney community for friendly customer service and great value used cars. We are proud to have sold over 10,000 quality used cars to our local community. We take the time to sit down with each of our customers and discuss their needs and budget, to ensure they drive home in a pre-owned car that suits them. Not only do we offer a great range of quality used cars, but we can also organise competitive Low Rate Car Finance when you purchase your new vehicle. Our car finance team also specialises in arranging Pensioner Car Finance for customers who find it challenging to finance the purchase of a car while on a pension. If you would like to talk to a member of our friendly team about our used cars or competitive car finance, don’t hesitate to contact Carsell today.